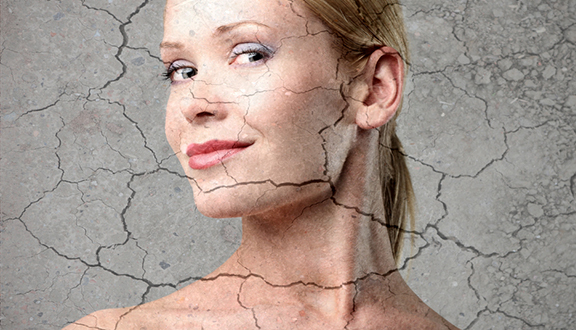 Dehydrated skin is everywhere! You see it in the chapped lips, dry hands, scaly feet, and arid-looking eyes of adults, and in the perianal area of babies. Oleogel Plus, dermaviduals’ multi-purpose, massage-in moisturiser, works wonders when it comes to relieving dry skin for any body of any age. In a perfect world, skin would keep itself hydrated naturally. In reality, however, unnatural irritants upset the skin’s natural balance by destroying the skin’s lipids (oils). When these protective oils are removed, so is the skin’s barrier against dehydration, and water evaporates from the skin more easily. Oleogel Plus puts back what life takes out. It promotes skin hydration, skin elasticity, and even skin repair while simultaneously protecting skin from cold and the elements. Caprylic/Capric Triglycerides (C/CT) – developed more than 50 years ago, they add noticeable, yet natural silkiness to products. They also provide skin nurturing benefits due to the skin-loving nature of the specific fatty acids from which they are derived, and they are especially suited to both sensitive and oily skin. Lecithin – Lechithin helps hydrate, replenish and repair the skin due to its essential fatty acid content. It is derived from soybeans with skin protection qualities and acts as a natural moisturiser and emulsifier. Lecithin has the ability to penetrate the epidermis and carry substances to the right cell level. Oleogel Plus further contains a delightful complex of mimosa & sunflower wax and jojoba. This flower wax complex is an intermediate between liquid and solid waxes which brings about an incredible softness upon application. Further ingredients are avocado oil and, of course, phosphatidylcholine to provide building blocks for lipid barrier and cell membrane repair. Oleogel Plus is virtually free of water which ensures bacteria cannot enter the product. It is also free of perfume, emulsifiers, and preservatives. What makes Oleogel Plus truly special, however, is the fact that dermaviduals’ formulation harnesses the power of plant oils to natural membrane components. The result is a moisturiser that is able to penetrate and relieve dehydrated skin very quickly and naturally. The active caring agents in Oleogel Plus are highly concentrated, and you need only apply a small amount of moisturiser to achieve results. This is a wonderful alternative to heavy oily moisturisers that must be slathered on and can stain clothing and bed linens. Oleogel Plus is an everyday moisturiser you’ll look forward to using. It is thixotropic, which means that it liquefies when applied to the skin. All you need to do is thoroughly spread Oleogel Plus onto areas of dehydrated skin and immediately feel its restorative oils begin to work their magic. This natural skin moisturiser is non-oily to the touch, making it a pleasure to use.